LIQUID PADDLE COMPANY offers one of the most cost effective and safest water activities available in Ocean City. 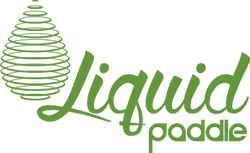 ...Liquid Paddle Company is located on the bayside in beautiful Ocean City, Maryland, Operating under the umbrella of the accredited 48th Street Watersports, a long time Ocean City favorite. 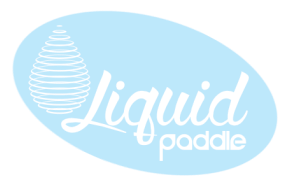 Liquid Paddle Company specializes in Stand Up Paddle Board and Kayak rentals, sales, and sunset tours. 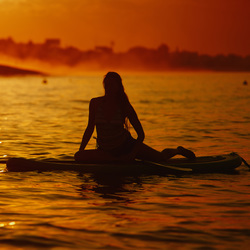 We also offer nighttime tours on our popular glowing paddle boards. We launch along a shallow cove where visitors can find Maryland's beloved diamondback terrapins, as well as other local wildlife. This pristine coastal inlet provides a perfect place to master the art of paddle boarding. Our knowledgeable and friendly staff will outfit you with everything you need to ensure a memorable and safe experience in the water. 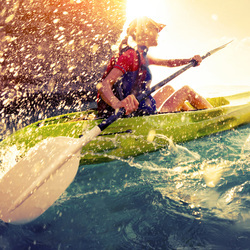 Whether you are a beginner or a pro, all of your eco-friendly activities are here at Liquid Paddle Company. Imagine spending a morning or afternoon in Ocean City, Maryland enjoying the placid waters of Assawoman Bay on a Stand Up Paddle Board or Kayak away from the beach traffic, crowds and noise. If you are looking for fun in the sun along with your friends or family, LIQUID PADDLE has it all with its amazing beachside facility on the open bay. You can paddle up to and under the 60th Street Bridge, explore the shallow waters of the environmentally sensitive shoreline or just enjoy the views. The view of the sunset over the western shoreline is breathtaking. Another popular event is our nighttime “glow” board tours. If an accompanied tour for a group is desired, contact 48th STREET WATERSPORTS or 67TH STREET PADDLE COVE for reservations and rates. LIQUID PADDLE is located just off Coastal Highway. Our experienced and knowledgeable staff is capable of insuring a safe and delightful excursion onto whatever part of the bay you prefer. They fit appropriate flotation devices to all, keep track of current weather conditions and monitor other traffic in the environs. Your enjoyment and safety is our top priority. LIQUID PADDLE COMPANY can provide the equipment and training on how to enjoy the bay and its beauty in a more tranquil setting. LIQUID PADDLE COMPANY offers one of the most cost effective and safest water activities available in Ocean City. 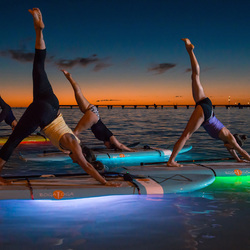 For first time users, the staff will provide training and tips for a fun filled time on the water on either Stand Up Paddle Boards or Kayaks. 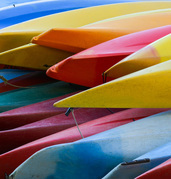 One and two passenger Kayaks are available for rental. Reservations are accepted and encouraged during the high traffic season. Rent a Kayak, Stand Up Paddle Board or paddle boat in Ocean City. An unforgettable time on the water. Family, friends and even the occasional talented pooch glide through Ocean City's beautiful sections of the Assawoman Bay during sunset.